'Mudan' diamond watch by CORONET is an incredible art-piece featuring 15,858 diamonds. The watch is set in 18K gold with artist Reena Ahluwalia's unmatchable diamond painting on the dial. The watch is a co-creation between Aaron Shum and Reena Ahluwalia. The watch is inspired by Peonies, as they symbolize nobility, honor and wealth. 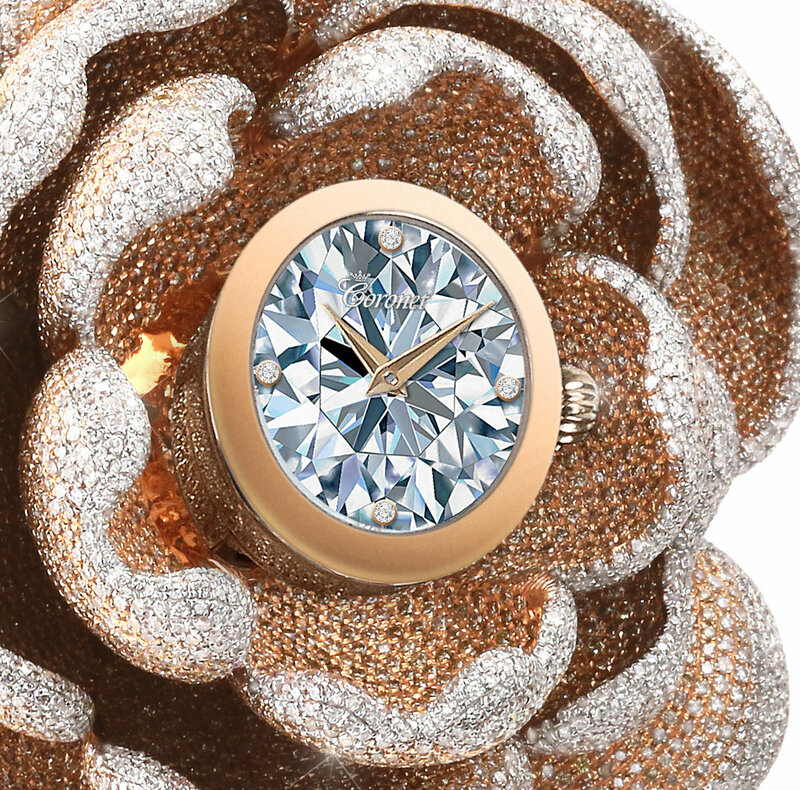 Reena's diamond painting on the dial represents the shining nobility that we carry within. Peony (Mudan 牡丹) is known as the 'King of the flowers' in the Chinese culture. The recently Guinness World Record (GWR) awarded 'Mudan' diamond watch by CORONET is an incredible art-piece featuring 15,858 diamonds. The watch is set in 18K gold with artist Reena Ahluwalia's unmatchable diamond painting on the dial. Reena Ahluwalia’s coveted diamond paintings are hyper-realistic and take hundreds of hours to paint. The watch is inspired by Peonies, as they symbolize nobility, honor and wealth. Reena's diamond painting on the dial represents the shining nobility that we carry within. Peony (Mudan 牡丹) is known as the 'King of the flowers' in the Chinese culture.